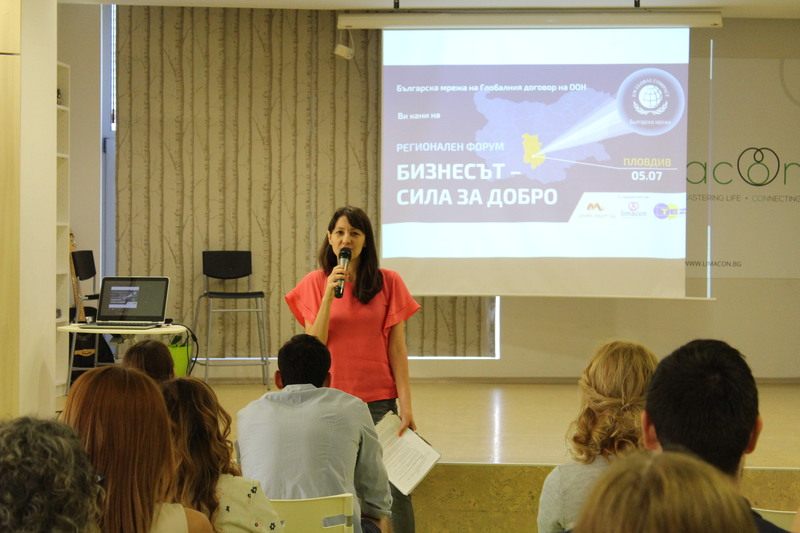 In June and July the Global Compact Network Bulgaria held regional forums under the motto “Business as a force for good” in three cities around the country – Stara Zagora, Burgas and Plovdiv. The aim of these forums is to present the worldwide UN initiative, to introduce the Bulgarian Network and its collective projects, to present the opportunities which the Local network gives to the companies and to send a key message: business has the power to make a change for the better. In Stara Zagora the local companies demonstrated the individual approaches they apply for a sustainable development in the market. Among the panelists were Zagorka which implements a wide range of socially responsible activities aiming pollution prevention, ZaraLab – which unites the ideas and the talent, and uspelite.bg – the platform for positive news. 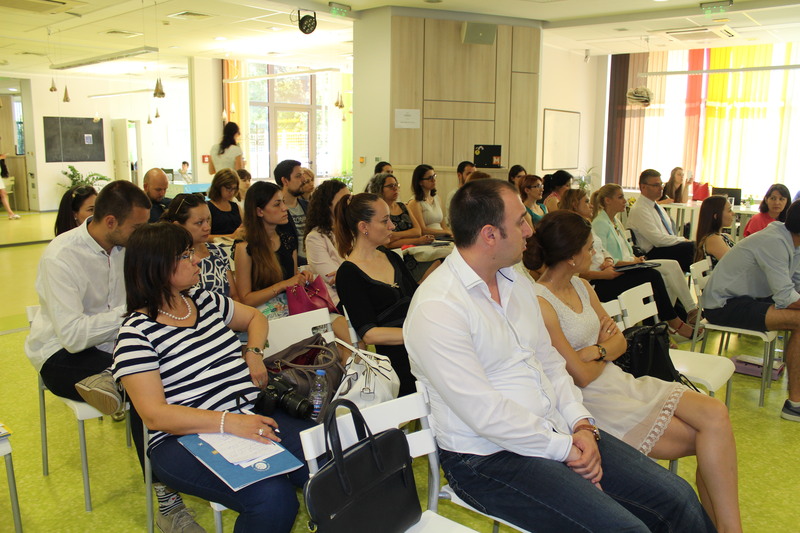 The event was supported by CountourGlobal Maritsa East 3, Chamber of Commerce and Industry – Stara Zagora and the Municipality. The highlight of the forum in Burgas was focused on the partnership between the private sector, the educational institutions and the Municipality. University “Prof. Dr. Asen Zlatarov” shared its numerous good practices and the local Business Incubator talked about the methods to create positive environment for entrepreneurial initiatives. Overgas and TechnoLogica also took part as panelists, sharing their experience in employee engagement practices while Sea Harmony presented their innovative sustainable solutions in the field of green investments. The last forum took place in Plovdiv where the participants had the opportunity to learn more about the experience that the local entrepreneurs from Gaillot chocolate, Limacon and Cupffee have gathered in their professional path of development. EVN presented their practices aiming to boost employee engagement while Asarel Medett’s panelist talked about the years of experience they have in implementing the dual education programme. Mr. Ognian Trajanov, Chairman of the Bulgarian Network, also took part in the forums where he spoke about the essence of CSR and the reasons why it is important for the companies to implement it in their development plans. “This type of events let us understand that CSR has managed to reach our cities back from New York and we are happy to find out about corporate examples of social engagement demonstrated by companies that are outside the members of our Local network.” According to her, even though as a term ‘CSR’ may sound academical or incomprehensible, it can be recognized in specific examples within the Bulgarian reality.